December in the life of our Church is pretty special. 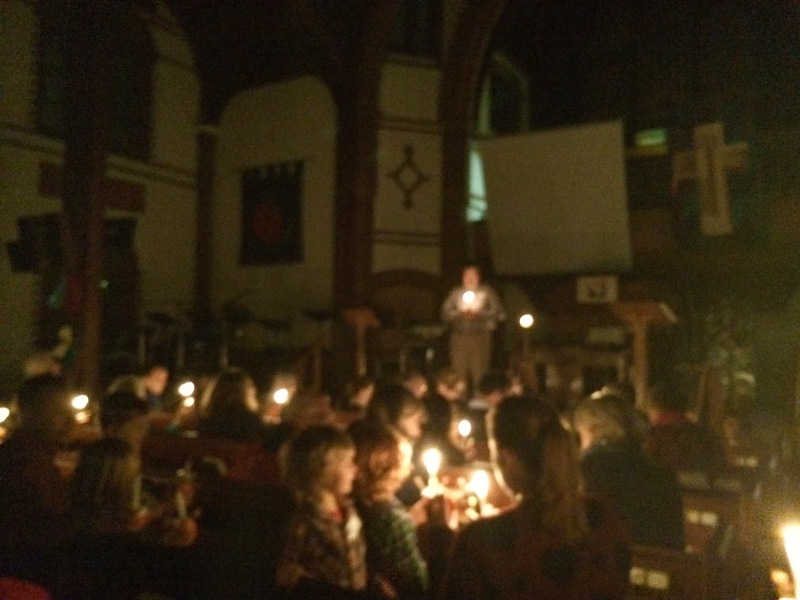 This year we revisited the idea of a Messy Christingle, a Messy Church style service that focuses around the brilliant combination of oranges, sweets and candles that some of us call a Christingle. The afternoon started with coffee and mince pies and quickly followed with an hour of creativity. Glass painting, assembling nativity wheels, putting together 2014 calendars, building our christingles, all happening in the same space as bell plate ringing, yes we do love a good excuse to ring those bell plates! On the stage of the hall we set up our very own photo booth, a place where families could come together, pose in nativity costumes and have their photo taken. Immediate prints were given out and electronic copies forwarded on after the service. Lots of fun was had. In fact when I looked back over the electronic copies I literally laughed out loud as one by one photos of all the different children popped up. The young people had seemingly arranged themselves in various combinations, across their own family divides and age groups and by the looks on their faces they actually had fun hanging out together. As part of our time we went through to the sanctuary, shared in some carols, lit our christingles together and enjoyed a moment of corporate silence. For a brief moment time seemed to stand still, even small children were quiet as we all simply enjoyed breathing and being in the candle light. Then one of our fabulous young families of 6 led us in a brilliant interactive prayer as we pondered the season and asked God to be in the mix. A fabulous party tea was shared (our Church knows how to do a good spread), conversations were had, laughter was heard and God was felt. Young and old we worshipped, created, prayed and ate together and it was good!